How to use Big Data Properly – analysis of large amounts of data offers many developmental opportunities – if the technologies are used properly. There are five most important criteria for the usage of Big Data. Technologies tools for the analysis of big data help the companies to amazing advancement through new drug development in the pharmaceutical field to finding the right partner in the field of online matrimonial market. Big Data, in true sense is moving the companies. Success from the huge amount of information depends on one major and basic question – How to use Big Data Properly. But many of the success stories in the field of so powerful business analytics are the challenges that need to deal by the organizations in the implementation of projects and rarely come into the public spotlight. 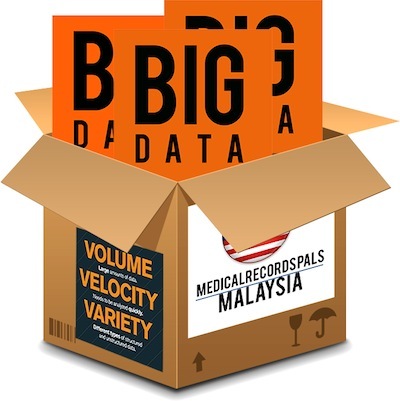 The question is asked but remains unanswered – How to use Big Data Properly. Companies usually expect usually more agility, more dynamic and competitive advantages from Big Data Analytics. To achieve these goals, a Big Data strategy is needed. Big Data Analytics may be understood in this context, not only as an additional technology, but must be used as a strategic tool. An example of this stance, is the model of online book retailer Amazon. The trading platform offered to the customers in some countries offer discounts when using their smartphone with price comparison. In this way, used Amazon Big Data technologies targeted for establishing itself as a low price Portal. Before introducing technologies for Big Data Analytics in the company, investors should determine their internal data needs : it is not the collection of new data for the planned business always necessary. If it is needed, work should begin on a fast, efficient and simple data integration environment. Technology moves faster than the expertise of its employees. But without a competent and solid group of staff,any Big Data project will fail. Dealing with the large amounts of data requires experimentation and a great deal of skepticism as well as sophisticated feedback Mechanism. Moreover, the management of the employees with data usually not planned, companies should therefore work on the processes, policies and also develop an open, dynamic culture for manufacturing processes of data in order to deal with the data as a clear and simple source of information. Dealing with large amounts of data increases privacy and security risks. Regulations on data security and guidelines for accountability in the handling of data are essential. This Article Has Been Shared 3054 Times! Installing Zentyal on Rackspace Cloud Server will need a Ubuntu Server and the basic knowledge which will discuss.Zentyal is Linux server for running on Ubuntu. Tools for Cloud Computing are part of the effective usage the cloud solutions. We are presenting some tools for cloud, which take care of backup, security etc. Increased desire for more and better information by different industries resulted in increased sales of BI software solutions including Healthcare. Cite this article as: Abhishek Ghosh, "How to use Big Data Properly," in The Customize Windows, February 17, 2013, April 21, 2019, https://thecustomizewindows.com/2013/02/how-to-use-big-data-properly/.